Indeed, what is a meniscus? Maybe you’ve heard this term in reference to your knee…? A meniscus is also commonly called ‘cartilage’, especially when describing sporting injuries. Let me tell you what a meniscus is (pleural menisci) and why we need them. These structures are more commonly referred to as ‘cartilage’, especially in the media. For example, it’s frequently reported in the sports pages and on the TV that a footballer has torn their cartilage. Technically, however, cartilage injuries are injuries to the lining on the ends of the bones. I’ll tell you more about this another time. Injury to the menisci tend to happen during a sudden twisting motion and when the foot is planted on the floor. In sport this can happen during a quick deceleration and twist to change direction. As we age (unfortunately) the quality of our tissues degrade and it can take substantially less force for an injury to happen. You might feel pain immediately if the tear to the meniscus is fairly large, however, it can take a few days for the symptoms to develop for more minor injuries. Twisting and bending will tend to give you pain. Other symptoms of a meniscal injury can include localised swelling and the knee may lock or ‘jam’ following a very large tear. Sometimes the injury will settle by itself following a period of rest and physiotherapy. If this doesn’t happen, surgery to repair or remove the torn piece may be necessary. In either case, it’s important to make sure you keep using your muscles and try to keep a normal range of movement. For example, you may want to keep your knee bent, however, your physiotherapist will tell you that this is a bad idea; they will likely give you exercises to straighten the knee to avoid other problems like anterior knee pain. Overall, if there’s little else wrong and you’re fit and healthy , this injury is treatable, sometimes without surgery, and you should be able to make a full recovery in a relatively short period of time. 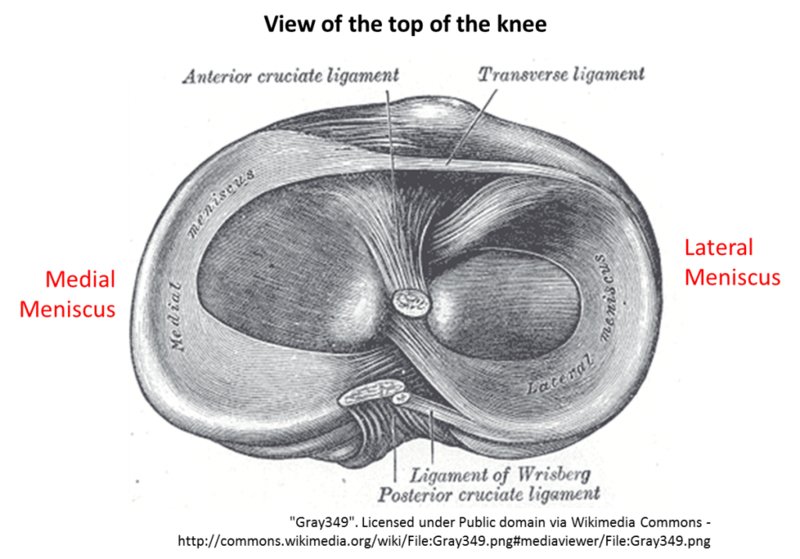 Oh…and have a look at my news item about anterior knee pain.